Meredith Thompson's desk was covered in catalogs. In fact, the catalogs appeared to be sorted by size, except for the deep pile of Anna Carter catalogs piled to her left. "I know you're looking at the catalogs, Kevin. I also have folders in Outlook that have every e-mail our competitors send to customers." Ms. Thompson began her career at Gliebers Dresses as an inventory manager in 1981, and the experience of relentlessly forecasting sales at a sku level still permeates her personality today. As a buyer in 1994, she stumbled upon a halter dress similar to one worn by an actress at the Oscars. The sales from what some of her co-workers called a “coincidence” coupled with a shrewd evaluation of fashion trends earned her the opportunity to become the Chief Merchandising Officer in 1998, a position she’s held ever since. 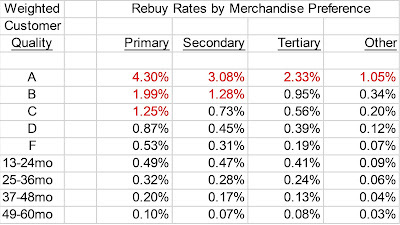 We began to review a series of merchandise reports. “The kids don't refer to documents as reports anymore, do they? I think they call the metrics in the reports KPI’s, key performance indicators, right?”. The report that Ms. Thompson evaluated did not capture the complexity of the modern merchandise selling process. “Take a look at this scoop neck dress. The item generated $26,000 in March, $10,000 via the telephone, $16,000 online. My merchandising data system tells me that the item was in our Spring Catalog, it was featured three times in the catalog, a full page in total, to 800,000 circulation. That's the extent of the business intelligence I've been given." Ms. Thompson begins her personal version of business intelligence. How profitable was the item? And that is exactly what Ms. Thompson did. She assumed that the catalog drove $17,500 of demand, $10,000 over the phone and $7,500 that the catalog allegedly drove to the online channel. She assumed that e-mail marketing generated $3,000 of demand (she discounted demand by a half, assuming that the e-mail campaign drove demand to other items … strictly a guess). She assumed that search marketing drove $3,000. And she made a guess … she thinks that the mention in a popular blog drove $1,000. In total, Ms. Thompson credits $20,500 to catalog and search marketing efforts (expensive marketing), $4,000 to e-mail marketing and blogs (marketing without much cost), and she guesses that the remaining $1,500 was “organic”, demand that would happen if all other marketing were discontinued. Ms. Thompson runs a profit and loss statement against the $20,500 of “expensive” marketing. I find this method of categorization of demand across marketing types interesting (expensive, free, organic). Every client seems to do something that is innovative and unique. Such is the state of modern multichannel analytics at Gliebers Dresses. I point to the six empty cans of Diet Pepsi sitting on top of a pile of catalogs, all slightly dented from the tension in her fingers. "Oh those!" she says. "Diet Pepsi keep me going. I need to stay on top of all of this multichannel merchandise analysis. My husband thinks I'm killing myself by drinking thirty cans of Diet Pepsi a week." I ask Ms. Thompson what issues keep her awake at night. "Honestly, this internet thing is really odd, Kevin. Have you ever tried shopping for a dress online?" "You go to our website, and you are immediately presented with images 1 through 2,366, sorted by popularity or price or color or style. You can look at 25 results per page or 100 results per page or all 2,366 on the same page. I call this 'sterile shopping'. There's no story, no point of view, just a bunch of M&Ms thrown on the floor for you to choose from. Who is responsible for telling the story?" I wonder aloud if it isn't Ms. Thompson's job to tell the story? "Let's run with your hypothesis. If it is my job, then I should own e-mail marketing, right? If it is my job to tell the story, then I want to own every e-mail campaign, the in-home date and time it is sent, the creative, the merchandise featured. I want to own the text associated with every paid search ad on Google, because it's my job to tell the story, right? I already have a pseudo-ownership relationship with catalog marketing, because I've worked with the creative team for the past decade, and we know our roles." "I should own the website, too, right? I should own landing pages. I should be able to draft a version of a website that doesn't represent 'sterile shopping' without having to submit a request (called an 'SR' in Gliebers Dresses lingo) to make subtle changes to the website and then wait 18 months for my request to be completed. I should be able to get my merchandise mentioned on blogs and on Twitter. I don't own any of those areas." "That's the problem with this multichannel thing. We own what makes common sense to any management expert --- I own merchandising. But I don't own the things that matter. 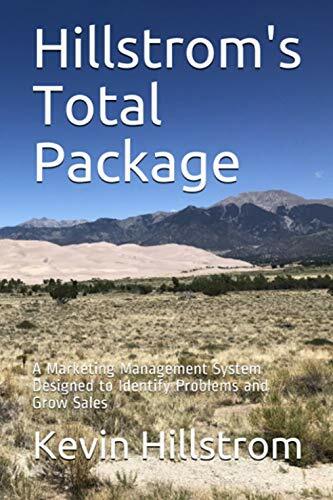 And if you talk to marketing, they'll tell you the same story, from a marketing perspective --- they'd like to own the merchandise that is featured in marketing vehicles." How would somebody solve this problem? "Oh, I've aired my grievances with Glenn. He just tells me to find something for the customers to buy, or I won't have my job. He's become really cranky the past few years." "We haven't figured out this internet thing ... how a catalog interacts with e-mail, how e-mail interacts with search, how a customer interacts with an iPhone app, how to install a widget on the website in less than fourteen months, how to bring online merchandising to life without having support from the technology department ... it is really quite mysterious, and nobody is studying the subtleties surrounding the mystery. Figure out this internet thing, and you figure out the organizational structure, right?" I continue to take notes. "The internet thing is like a big bowl of cioppino. It is the fusion of offline marketing and online marketing and Google and organic customer preference. You really can't separate out the influence of any one thing on another --- you mail a catalog, and your search activity skyrockets --- you feature a ruffle slipdress in an e-mail campaign, and for some odd reason for two days off-shoulder dresses perform really well. What sells in the catalog also seems to sell online, but you can clearly see a demographic difference. I kid my merchant team that the catalog will become an elastic specialty channel over time!" "How are other people dealing with telling a story across channels? I mean, how the heck do you communicate a story via thumbnails? How do you sell 500 items in a catalog and then sell just three items in an e-mail campaign and then let your customer pick and choose from 2,366 items online? Is 500/3/2366 the right mix, or should it be 100/5/2366, or should it be 1200/9/2366? How do you forecast it accurately? It becomes really hard to know if you're still a good merchant, you simply cannot know all of the inter-dependencies that now exist between channels and merchandise divisions." "And then you have micro-events, like prom. All of a sudden you have a different core customer. For forty-five days, you have a whole new product line that sells so well online, but you strongly sense that those customers won't ever come back again. What do I do with those customers? Or how about extended size customers? They have completely different interests. Do I integrate all of this stuff, or do I let every unique area grow independent of each other?" I don't have any easy answers for Ms. Thompson. I can only offer her another Diet Pepsi, and share a bit about how this Multichannel Forensics project will begin to address her concerns. "I wonder aloud if it isn't Ms. Thompson's job to tell the story?" I work from the vendor side and I often say this to the sales team---tell our story. But answer is always the same--"we pay advertising to the retailer for that--they tell the story". In the end, no one is telling the story of why the merchandise sticks out. A few years ago at a past job, our lead designer when on a shopping channel and sales went thru the roof. She told the story with passion. Even the channel's best hosts couldn't produce sales she did. This one and the CMO tell a very big dilemma--how do you tell a story on the internet with just thumbnails. Retailers like Macys and Penneys realize that online sales are growing even as B&M stores struggle, but others haven't quite figured out how to join---sears has answered with promise of 3 million skus(quantity to make up for quality? ), and a "drive thru warehouse". Retailers need to learn what tv channels already know--use the vendors themselves! How do you tell a story on the internet with just thumbnails? Yup. Social media experts might have the answer ... unproven to-date outside of Zappos, still, they have a chance to shine.